Preheat oven to 400°F. 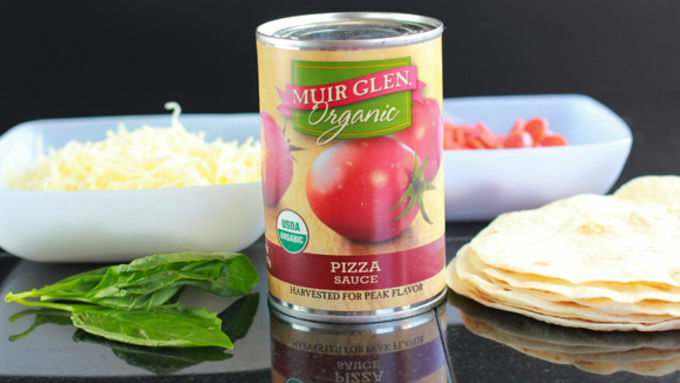 Empty the can of Muir Glen™ pizza sauce into a bowl and rinse out the can. Bake in preheated oven for 10-12 minutes, or until cheese is bubbly. 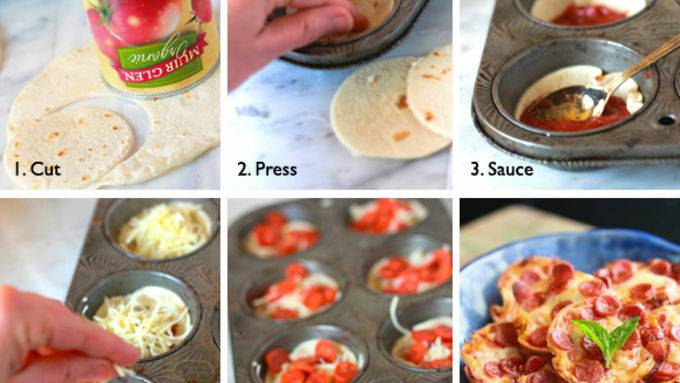 Remove and cool before using a fork to transfer mini pizzas from muffin tin to a serving plate. Some recipes are just simple. Simple and splendid. And this here, darling honey cakes, is one of the purtiest tutorial this side of Cancun…or Rome…or wherever your pizza calls home! These mini tortilla pizzas start out rather unassumingly. You know. Some ingredients for pizza. Some ingredients for tacos. WAITA SECOND! What is going on here?!! What kind of a fusion are we rocking in these here parts? Whyyy, lil' darling, we're rocking mini pizzas with tortilla shells. You could call them tortizza bites if you feel so inclined. Whatever you call these Mini Tortilla-Crust Pizzas, look how easy they are to make. You're just 6 simple steps from having a muffin tin full of deep dish pizza bites. To which we want to shout, "Ole!" but then again, considering the pizza portion of this meal, perhaps we oughtta go with "Ciao!" OR we can just keep the fusion thing going and offer up a boisterous 'Ciaole!" Which isn't nearly as delicious as just…chowing down. Mmmmm. 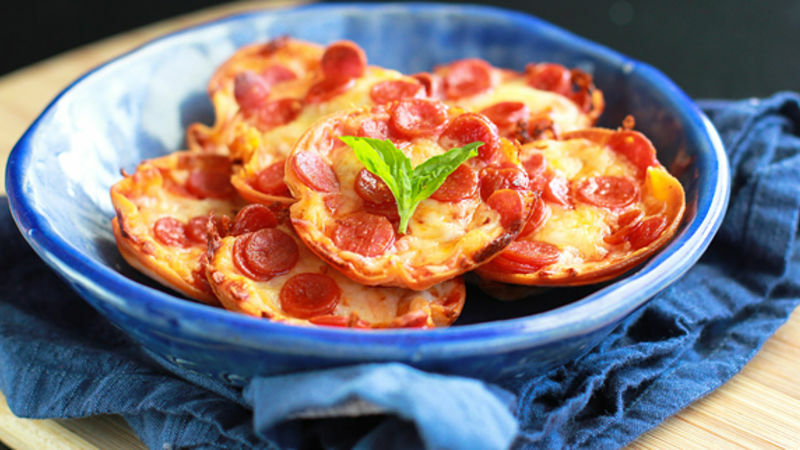 Mini tortilla pizzas. Delicioso in every way!